This accelerated A+B project (cost-plus-time bidding procedure) on the historic San Mateo-Hayward Bridge, which links the San Francisco Peninsula with the East Bay, consisted of several types of bridge deck resurfacing and electrical upgrades. The San Mateo-Hayward Bridge is the longest bridge in the San Francisco Bay Area (7 miles) and the 25th longest in the world by length which means the resurfacing of the bridge deck was a monumental undertaking. The Zinc Polyester Polymer Concrete, Polyester Polymer Concrete and Methacrylate resurfacing was required on the orthotropic bridge deck, lightweight concrete bridge deck, and structure concrete bridge deck. The estimated cost of the work was $28,100,000 and the accelerated schedule mandated the work be completed in 100 days, which is equivalent to $281,000 worth of work daily. The quick paced, high dollar value work was further complicated by the need to manage annual average daily traffic flows in excess of 103,000 vehicles. 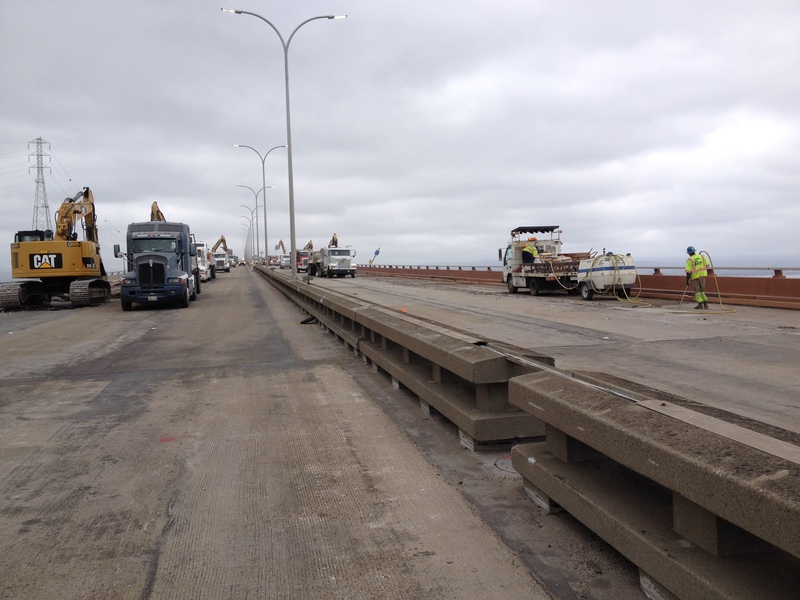 The deck treatment was required over 3,155,223 square feet of bridge deck. 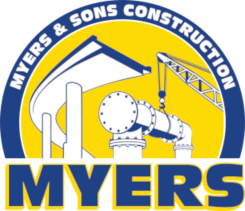 This translates into 418,935 square feet of 2” Zinc Polyester Polymer Concrete placement (with Zinc primer), 347,624 square feet of ¾” Polyester Polymer Concrete placement, and 2,388,664 square feet of high molecular weight Methacrylate. The amount of material equates to 26,072 cubic feet of Polyester Polymer Concrete 78,167 cubic feet of zinc Polyester Polymer Concrete and 40,700 gallons of Methacrylate. Of the required 3,155,223 square feet of rehabilitation nearly 2,736,288 square feet of bridge deck required 5,684 square feet of rapid setting concrete patch and 2,971 square feet of repairs were required to spalled surface area. Also, 2,600 cubic yards of epoxy asphalt concrete overlay needed to be removed from the orthotropic bridge deck to allow for the placement of the Polyester Polymer Concrete. In total, nearly 31,552 square feet of bridge deck were rehabilitated on a daily basis during the work. All of the deck treatment work, with the exception of the 2” Zinc Polyester Polymer Concrete was performed during nightly lane closures. The 2” Zinc Polyester Polymer Concrete, over 418,935 square feet, was placed during two 55 hour weekend bridge closures. The total labor required to complete the work was in excess of 35,000 man-hours. This project is one of the top 5 largest Polyester Polymer Projects completed to date. It is the first large Zinc Polyester Polymer Concrete project completed and only the second project to use Zinc Polyester Polymer Concrete in the State of California. This is the first project to use the Zinc primer as a sacrificial layer applied to address corrosion of the orthotropic bridge deck.